Sir Andrew John Wiles (1953-), Professor of Mathematics. Sitter in 2 portraits. Rupert Alexander (1975-), Artist. Artist of 1 portrait. The portrait shows Andrew Wiles seated, in two-thirds profile. The background is undefined and the sitter is presented as an isolated, thoughtful, figure. 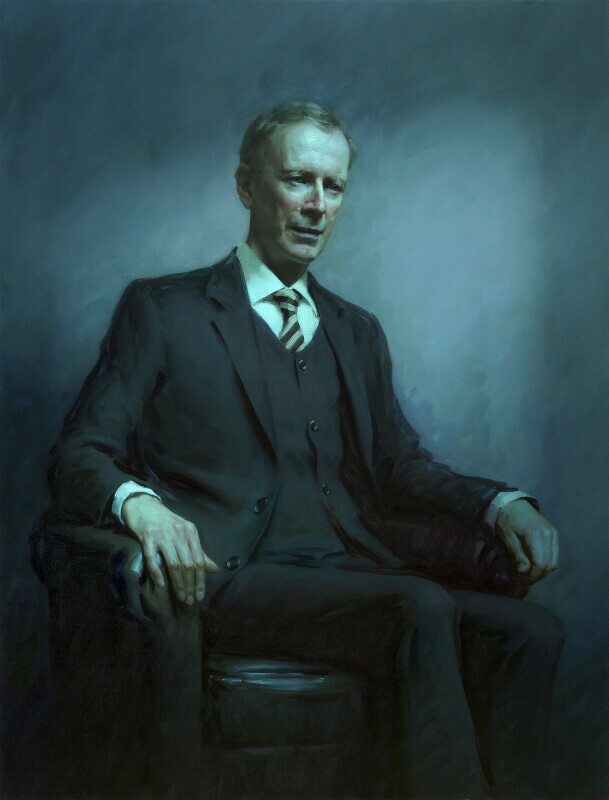 In discussing an artist, Andrew Wiles favoured a realistic and traditional approach to portraiture, citing Romney as a favourite portrait artist. There were five sittings for this portrait; one at Merton College in Oxford and four in Alexander's London studio, each lasting around four hours. Using a palette of blues and greens, Alexander has achieved a nocturnal and ethereal effect that he felt was appropriate for his sitter's important yet esoteric achievement.